Christy McCauley has returned to West Virginia at last, but her homecoming quickly turns into a surreal nightmare. 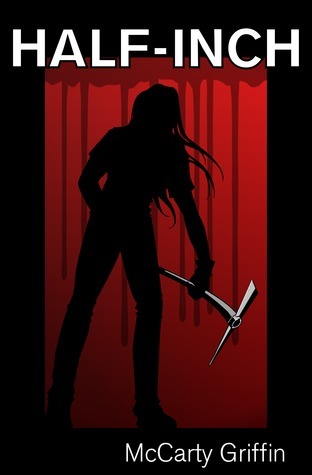 In the deep hollows and woods of rural Augusta County, something unspeakable is slaughtering people in the dark of night. Authorities don’t know if its human or animal, or how to stop it. Christy and her friends only know they must hunt it and destroy it, before it kills again. Yummy, yummy horror story. 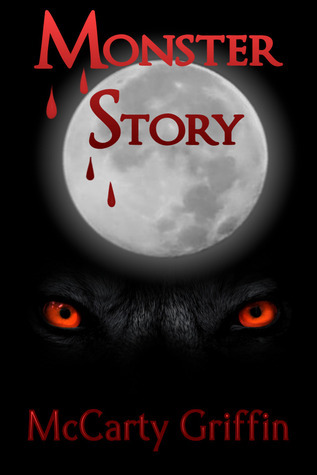 I hadn’t realized how much I did miss horror stories until I read McCarty Griffin`s writing. Rich, descriptive, suggestive, McCarty Griffin`s world sweeps you off your feet, and you find yourself right there, in the middle of that forest, waiting for the non-romanticized monster to feed on you, instead of romancing you (the more popular outcome of meeting a were-thing). Don’t get me wrong, I love it when the monster romances you too, but every once in a while, it’s good for the bloodthirsty beast thingy to be just that, bloodthirsty. Puts things in perspective a bit, you know? The key element in any horror-related type of thing, be it movies, novels or images, is the mood setting, the atmosphere. This is the brilliant part of Monster Story, it sets the mood superbly. This, to me, was the strongest point of the read. From an easy, fairytale like scenery, morphing gradually into a horrifying scene, this world is quite captivating, despite some stereotypes that do float around, like the small-town related things for instance. But stereotypes, a much hated instrument for some, are effective in one thing, they capitalize on all previous suggestions, they’re quite effective if you’re not actively fighting them off, all the time, every time. I liked the way the plot developed; it could have gone any way, really. It could have become a classic paranormal romance, it could have become a truly horrific tale, or just a mild cautionary story. The buildup was there, and it could have been steered into any direction. When it did take a clear and final turn towards horror, it did so smoothly but effectively. Over all I can say I have enjoyed it quite a bit; I wouldn’t say I’m in love with it, but I really did like it. If you’re into thrilling horror, by all means give this a try, it’s a beautiful exponent of the genre. Ahh…this one was actually sort of fun, in a dark, morbid sort of way. Half-Inch makes use of some stereotypes we’ve talked about earlier, in a much similar clever way. They just work wonderfully with a criminal twist, what can I say? The strange and interesting mix of crime and chick-lit with a pinch of humor is quite memorable, the story quite engrossing. I was totally into it from the first page. What I found most amusing was the irony of it all; Pammy tries to set herself free, and ends up being “captive” of her own doings. Poetic justice goes a long way, I guess. If you don’t mind a bit of a violent end to a bit of a violent story, then you should give this a try. I’m sure you won’t regret it. The tribe has been alone on the farm for many seasons, struggling to survive by their wits and will, unaided by the humans who abandoned them there years ago. 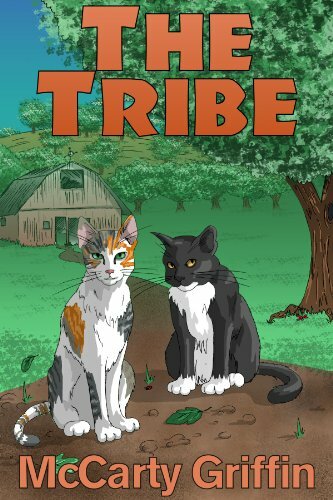 Few members of the tribe outside of Tia, the eldest, and her fiercely loyal companion Bella, remember a time when two-legs–the cats’ name for humans–lived in the farmhouse. Suddenly, the tribe’s territory is invaded by a young two-legs couple, and the frightened cats ask themselves why have two-legs come to live there after so many seasons and what will happen to the tribe at the hands of these often cruel creatures? This is a quick read and a joy, a real page turner. Very original, and most entertaining, it gives voice to those that are often the silent part of the tale, in this case, cats. I loved their tribe-chemistry and their diverse and charming personalities. Their clever, witty and banter-y sort of way of managing whatever happens strikes me as a really good take on cats, in general. I can totally visualize their conversations going as McCarty Griffin portrays them. Another proof of McCarty Griffin`s talent to bring together humor and unique, original perspectives on things, this little darling of a read had me giggling pretty much all the way through. I highly recommend this to anyone that enjoys a short, light hearted, fun and entertaining read, and animal lovers such as myself will surely enjoy it thoroughly.